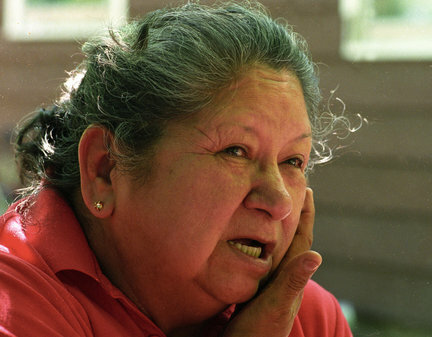 Dorothy Webster, a clan mother of the Onondaga Nation of New York, died on Friday. She was 81. Webster held her longhouse position for more than 60 years. She fought to preserve the Onondaga language, for the return of sacred tribal property and for the cleanup of Onondaga Lake. "She believed you led by example," her daughter Mary wrote, The Syracuse Post-Standard reported. "She respected those who embraced the Haudenosaunee tradition. Her spirit was lifted when younger persons learned a new traditional song or a ceremonial speech." Burial services took place this morning at the longhouse.